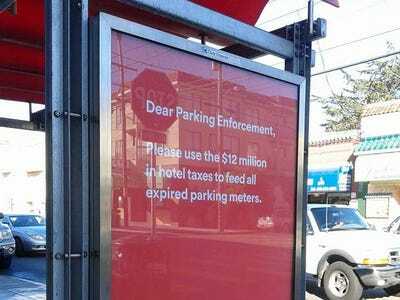 Airbnb is removing controversial ads that offered alternate suggestions as to what the city could do with the money Airbnb pays in hotel tax. Some of the ads offered funny San Francisco-centric suggestions, like having public works build escalators on the city’s steepest hills. But other ads offended San Francisco residents. 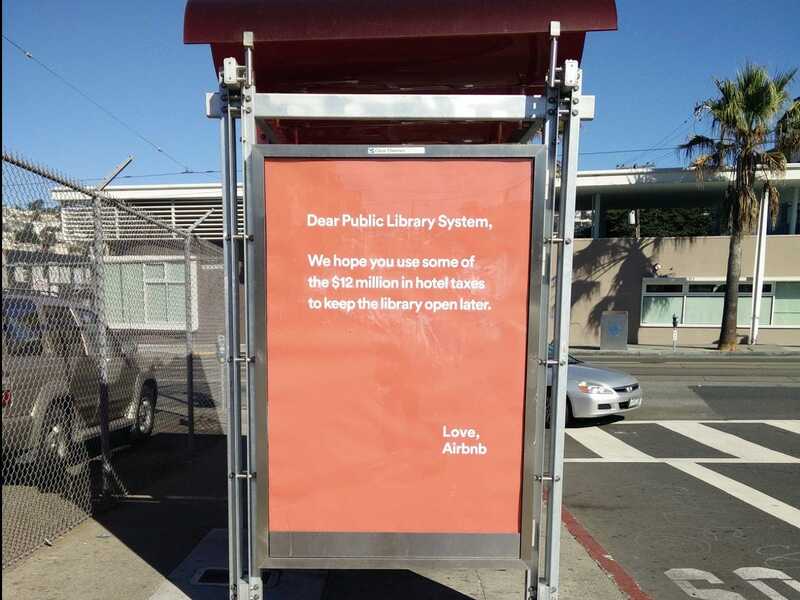 One letter to the public library system said it should be spending Airbnb’s tax money on staying open later. “Had you donated that $US8 million you spent fighting Proposition F directly to the public libraries you love so much, that could have made a bigger difference. Oh well. Hindsight is 20/20!” said San Francisco State University professor Martha Kenney in her Facebook post. Airbnb confirmed to Business Insider that it was taking down the ads after they were posted this morning, and the campaign was not run using the $US8 million it had given to political groups to fight proposed legislation. “The intent was to show the hotel tax contribution from our hosts and guests, which is roughly $US1 million per month. It was the wrong tone and we apologise to anyone who was offended. These ads are being taken down immediately,” said Airbnb spokesman Christopher Nulty.